AN AWESOME PRODUCT THAT MEETS AND EXCEEDS EXPECTATIONS! Perfect for cleaning resilient tile, asphalt tile, vinyl floors, synthetic floors, terrazzo, quarry tile, paver brick, natural stone and coated wood floors. Protective sheen helps preserve and protect. Excellent choice for damp mopping and auto scrubbing. Effective in hard or soft, hot or cold water. I've used super shine for many years and also have a Sister-in-law who also uses super shine all! 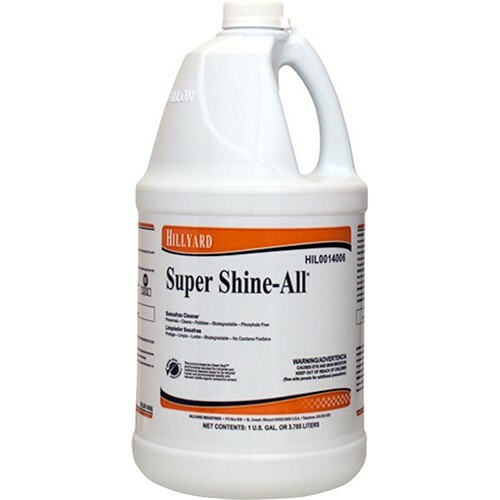 We love it great lasting floor shine and clean -refreshing smell.